If Donald Trump had simply embraced his German roots and moved forward as a Christian, he would not now be floundering politically as his inheritor, the man who Trump disregarded in Sebastian Kurz is daily gaining power, prestige and advancing his agenda as the Bismark of the 21st century. Where Donald Trump could not get his Chamber of Commerce to put people to work, seal the borders and submit to his will. Sebastian Kurz has not only sealed the borders of Austrian, making Germany and Merkel to boy to his will, but he has sealed the borders of Italy and Greece too. What is truly amazing in this is Donald Trump could not get Christian Roy Moore elected to the Senate by allowing John Kelly meddle that race in a real Kellygate of vote fraud, but Sebastian Kurz is not only bringing down the regime of Angela Merkel in Germany, the most powerful state in Europe, but Sebastian Kurz has elected the Conservative leaders of Greece and Spain. Donald Trump has his trade wars with Europe, further isolating the United States, and the Europeans have now signed a massive new trade deal with Japan. Jul 06, 2017 · Leaders from Japan and the European Union announced their agreement in principle on a trade deal that will cover nearly 30 percent of the global economy. And as this goes on, the English have been stockpiling food and medicine. Nations do that when trade wars erupt into real wars. Once again it not Austria stockpiling items, it is England, England which should be able to obtain those items from the United States or even Europe. When Donald Trump grows up, he should want to be the 30 year old Sebastian Kurz, who rose like meteor out of nowhere and has brought the most powerful leaders to heel. Kurz has zero friction with Vladimir Putin, with dictator Xi of China, and Tehran meets with him. That is what a leader of a superpower state on the rise looks like. Sebastian Kurz advances without any of the militancy which plagues the DIA Presidency of DC. Kurz's genius is moving on one most important aspect in he has an entire network throughout all of Europe in matching political ideology. Bavaria, the chief most important state in Germany, invited Sebastian Kurz to speak at their political gathering, and told Angela Merkel to stay away. 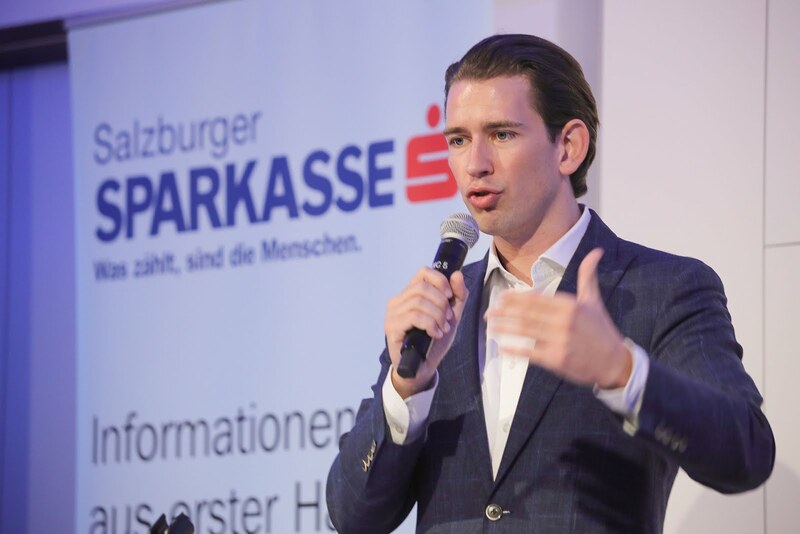 This is monumental as Austria is moving on improving ethnic ties throughout all of Kurz's federalized Europe. The point being Germanic peoples are being joined together across national borders, and their voting will, will be for a centralized authority in the European Union and the natural perpetual leader will be Sebastian Kurz. The contrasts of America and Austria are night and day. Sebastian Kurz seals his borders, protects and expands Austrian jobs, while Donald Trump expands Visa Vermin entry into America, while giving the jobs to foreigners, not Americans. Sebastian Kurz makes peace with Russia and China. Donald Trump promotes friction. Austrian led Europe is at war with no one. America is nothing but at perpetual war. Sebastian Kurz is on the threshold of accomplishing the very things that Donald Trump promised in 2016 AD in the year of our Lord. He has accomplished this with no deep state intelligence framing or smearing of him. He is not being investigated by anyone and has not alienated his base. Donald Trump's confederates are vanishing in May, Macron and Merkel. They are at odds with Trump or the fact is Sebastian Kurz is eliminating them. This is who Americans elected to become President, instead Donald Trump did Gary Cohn deals and legalized the invasion of America, while Sebastian Kurz has risen to the people's tide and instituting Nationalist Europe from socialist Europe, while Donald Trump is cementing in Obama national socialism in America. This the tale of two leaders in, It was the best of Kurz and the worst of Trump. America is making all the moves to making her a colonial state of Eurasia again. In contrast Sebastian Kurz has breathed new life in Europe making Europe the 22nd Century Super State which will lead the world.